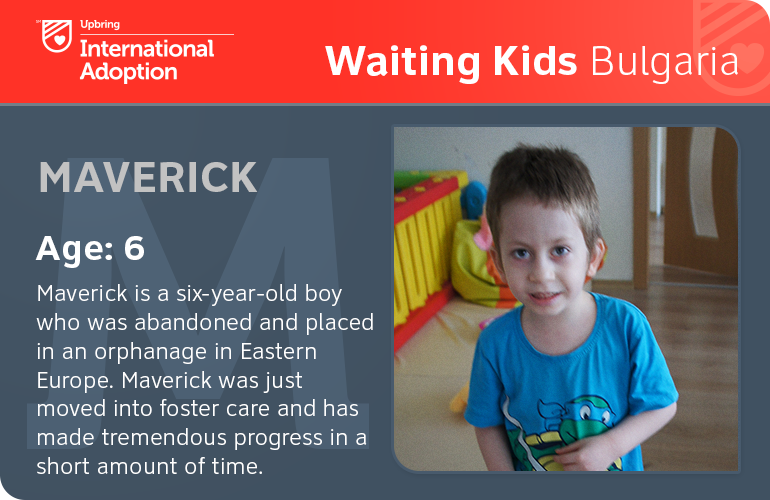 Maverick is a six-year-old boy who was abandoned and placed in an orphanage in Eastern Europe. He took his first steps without his father cheering him on. He said his first word without his mother capturing it on video. He’s six – and that’s too long to sit hoping someone finds enough time, enough money and enough courage to say “Yes, I think we can fit one more at our table.” Sometimes we leap without “enough,” knowing that what this boy needs is just “a little” – a little faith, a little courage, a mustard seed of hope. Maverick was just moved into foster care and has made tremendous progress in a short amount of time.